The Shimano Casitas Low-Profile Baitcasting Freshwater Fishing Reel clearly states its purpose in the name. The Shimano brand is known to be a technology leading fishing gear company that relies heavily on its precision engineering. This particular baitcasting reel is designed specifically for freshwater uses and can pull in small to medium size fish perfectly. 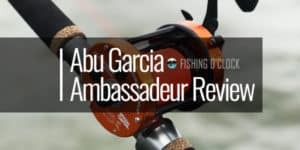 The versatile performance of this reel proves to make it perfect for some inshore saltwater related destinations as well. The Shimano Casitas was created with the freshwater fish; making it perfect baitcasting reel for bass lake fishing. The Shimano Casitas reel will make it easier for the professional angler to pull in those hard-charging, oversized bass. 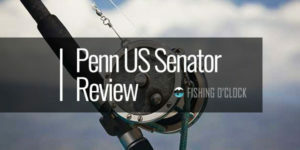 For bass fishing, the reel needs to be reliable and strong enough for a fight if the fish decides to run. The Shimano Casitas Low-Profile Baitcasting reel is built strong, making it up to any fishing challenge. While it is not recommended for heavy saltwater use, this reel can be brought out for the use of more subdue inshore species. 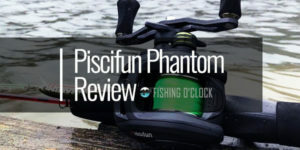 View our reviews, and browse our buying guide to find the list of the recommended freshwater baitcasting reels. 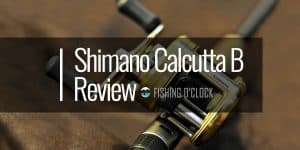 For a lightweight reel, the casting on this Shimano is rather perfect. 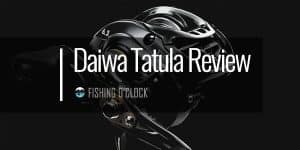 With this mid-end reel, the four ball bearings are what allow for a super smooth casting. Along with the four ball bearings, this reel also has a one roller bearing combining these gives the reel its smooth retrieve as well. Throwing out the perfect cast may not occur for the more novice angler. With this reel being slightly smaller than other Shimano models, there is less line to worry about. Anglers will be able to throw out their lure flawlessly with easy adjustments and zero backlash. Braking systems on your reel is quite vital. Without a strong braking system, there can be damage to the reel due to the fight of a larger, stronger fish. Shimano has created a system where it does not weigh down the reel, but it still packs a powerful pull. This advanced system found in the Shimano Casitas is a great benefit for bait casting. The SVS infinity allows for more adjustability with its 6 brakes system. Anglers will be able to set the internal brake to match the current fishing conditions. Its consistent spool control is easy to manage so the tougher fish won’t escape so easily. With this superb brake force, the Shimano Casitas is considered a great buy for your buck. Shimano Casitas hold true to its foundation of being a technology leading, precision engineering brand. The design of the S3D stable spool is another reason why this reel has such a versatile performance. Shimano has created a spool design that reduces spool vibration and can improve casting. The Casitas spool has a thin wall aluminum construction throughout. Combining balance and this uniform thin wall, the spool creates a smooth feel when casting and retrieving. Overall, it gives improved spool balance. 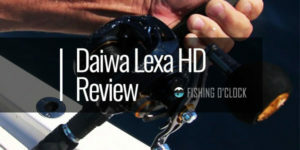 For the most part, the Shimano Casitas Low-Profile reel appears to be a great baitcasting reel under 200$. With being a lightweight reel, the goal was to be easier to maneuver. For the price range of this Shimano, anglers are getting a great deal for the quality type of performance. Being able to reel in larger fish, the reel does not necessarily have to be large in size. It does, however, needs to have a strong performance and strong parts within the reel. There may be a slight surprise when first opening this low-profile reel. The reel is lightweight and slightly smaller compared to other reels of similar compatibility. While this reel is lightweight, the size does not allow for larger fish, like the musky lure, to be an ideal catch. The more novice anglers may have a difficult time adjusting to the brake system. Not even all experienced anglers have used a Shimano or another type of reel with the stable spool method. The S3D stable spool system does take time to make the adjustments. The brake system may appear slightly hard to read. The brake settings need to be properly set up prior to the start of the fishing trip. It takes time to adjust to this braking system if it is the first time use. The upside is that learning this braking system is not complicated. 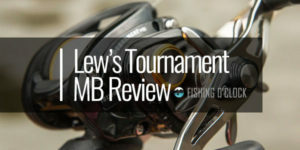 It is better to know what you are getting into before heading into a fishing trip. The Shimano Casitas Low-Profile Reel is one for versatile performance. 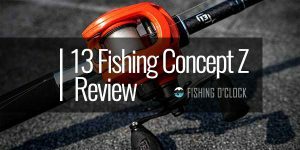 Whether the goal was to pull in bass from your nearby freshwater lake or if the plan is to go inshore for some saltwater catches, this reel can accommodate many types of fish easily. The four ball bearings plus one roller bearing works together to ensure a super smooth cast and retrieval. The smooth drag on this Shimano is much appreciated on those larger fish. The sleek casing of the Shimano can double for any one of the higher priced brand reels. 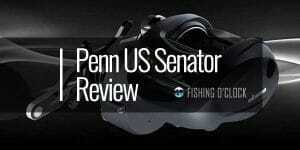 It is built strong enough to handle larger sized bass and inshore species in spite of its lightweight feel. Several components assist to make this reel a sturdier choice such as the aluminum handles. They can withstand the fight of fish about 12 pounds. The Shimano braking system, SVS Infinity, may take some time to get used to however once you can read the brakes easily; one will see the benefit to such an advanced braking system. Being able to control your brake force as well as have consistent spool control helps to balance when fighting those larger fish. 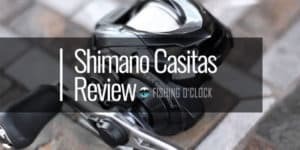 There are certain things about the Shimano Casitas that can be a benefit or a hindrance, depending on the type of fishing trip you are planning. With this being a mid-end reel, the spool is smaller with less line to fill. Knowing this, the Shimano Casitas should be used for small to mid-size fish. 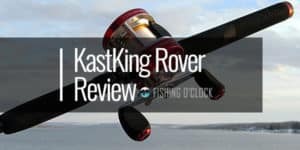 If you are planning on doing heavier saltwater fishing, this reel should not be the first choice. The Shimano Casitas works best in freshwater. While it can be used for saltwater, maintenance is key to maintain the quality of this reel.